Another Home Leased by Premiere Team Real Estate - Ready for move-in * Wood vinyl floors * Recent carpet * Indoor utilities * Refrigerator * Wood privacy fence * Vaulted ceilings * Ceilings fans * One car garage * Walk-in closet * Very convenient to Ft. Hood and shopping amenities, walking distance to Starbucks and one light away from a BRAND NEW HEB! * Room sizes are estimates and therefore are not guaranteed * Easy to qualify - will consider all applicants * Required Leasing Packet available via email * Weekend/Holiday lease approval and move-in possible * Also have a Remodeled 3-2-1 duplex 1100 sqft for $750/month ready for move-in located at 2606 Lucille Drive Killeen Texas and a Remodeled 3-2-2 house 1950 sqft ready for move-in located at 2505 Tara Drive Killeen Texas. 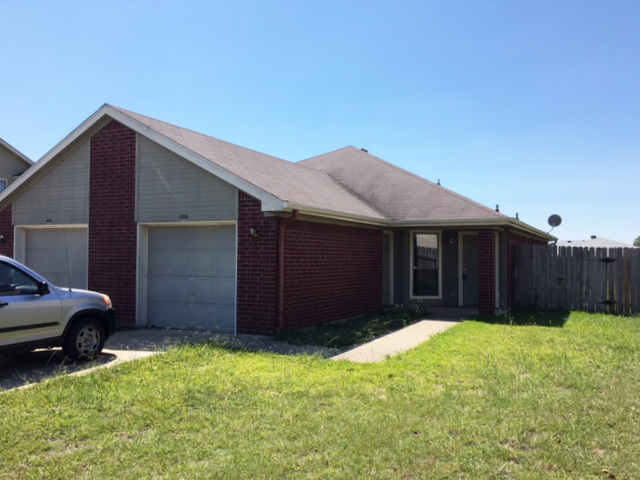 Another great home for lease in Lancaster Estates, Killeen, Texas.